The Cuban Research Institute (CRI) of Florida International University continues its tradition of convening scholars and other persons interested in the study of Cuba and Cuban Americans by holding its Eleventh Conference. We encouraged the submission of panels and papers concentrating on any aspects of the main conference theme, but considered all submissions relevant to the history, economy, politics, culture, society, and creative expression of Cuba and its diaspora. On March 1, 1975, then Secretary of State Henry Kissinger declared: "We see no virtue in perpetual antagonism between the United States and Cuba." Nonetheless, Kissinger's efforts to reengage with Cuba failed after Fidel Castro sent combat troops to Angola in April 1975. Thirty years passed until the two Cold War enemies restored diplomatic relations. Cuba's close ties to the former Soviet Union, military interventions in Africa, and constant attempts to export its revolution made it difficult to maintain peaceful coexistence with the United States. In turn, the U.S. trade embargo of Cuba, in addition to numerous covert operations to subvert Castro's socialist regime, buttressed a "siege mentality" on the Island for decades. Finally, on December 17, 2014 (D17), Barack Obama and Raúl Castro announced that they would take steps to "normalize" relations between the United States and Cuba. The two countries reopened embassies in their respective capitals on July 20, 2015. The Eleventh Conference on Cuban and Cuban-American Studies takes Kissinger's memorable expression, "perpetual antagonism," as a cue for further academic inquiry and public debate. Our main theme, Beyond Perpetual Antagonism: Reimagining U.S.-Cuba Relations, invites interdisciplinary approaches to the multiple, complex, and often conflicting links between the two countries, both historically and in current times. Although we welcomed discussions about the recent situation and the future of U.S.-Cuba relations, we invited a thorough retrospective examination of the social, economic, political, and cultural dimensions of the intertwined histories of the two countries, at least since the late 18th century. 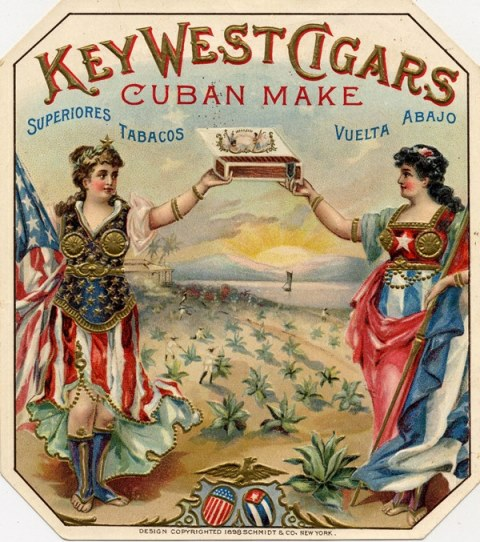 We were especially interested in assessing the contribution of the Island's diasporas in the United States to imagining Cuba Libre ("a free Cuba") from the Spanish colonial period to this day. Although we preferred panel proposals, we attempted to group individual papers in sessions according to shared themes. Panels ideally include four paper presenters, a chair (who may be one of the presenters), and a discussant. Panels may feature five paper presentations if they do not include a discussant. Each presentation will be limited to 20 minutes. Participants may perform two roles at the conference (chair, discussant, roundtable participant, or paper presenter), but may not present more than one paper. The presentations may be in English or Spanish. The deadline for submission of all paper and panel proposals was October 31, 2016. Notifications of acceptance (or refusal) were sent out by December 1, 2016. For further information about the conference and other CRI activities, please call (305) 348–1991 or write cri.fiu.conference@gmail.com. All participants should be registered under one of the following categories. Registration fees include three continental breakfasts, coffee breaks, one reception, admission to an evening film screening, and all conference materials. Each participant is responsible for his or her own travel and lodging expenses, as well as the conference registration fee.